This is an unbelievable mansion on its very own island!! It is located in Flathead Lake, Montana in the USA and is called Montana's Shelter Island. In fact it can be yours since it is on sale for ONLY $39 million USD. It is a 5 bedroom 22,000 square foot house and over 22 acres of land (and water). 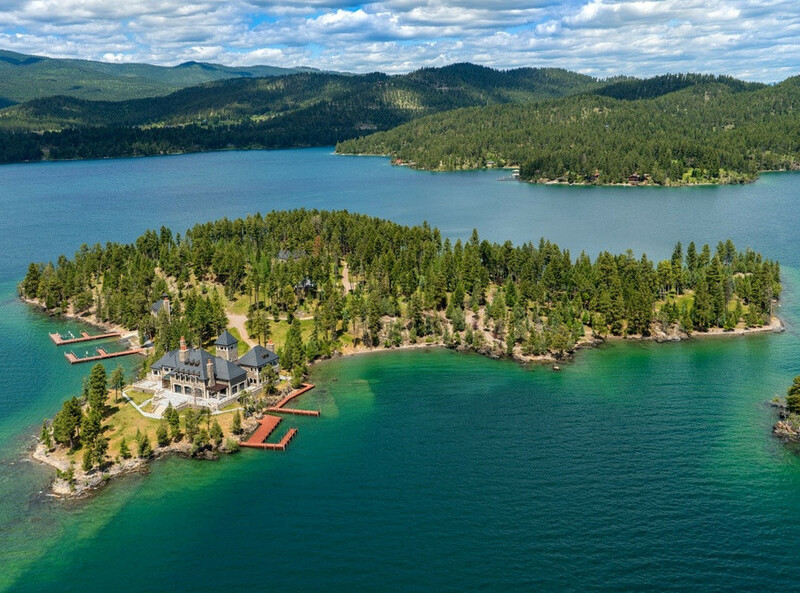 It is in the middle of Flathead lake, and if you owned this house, it literally will feel like you own your very own country! Would you want to live in this house/island? ?